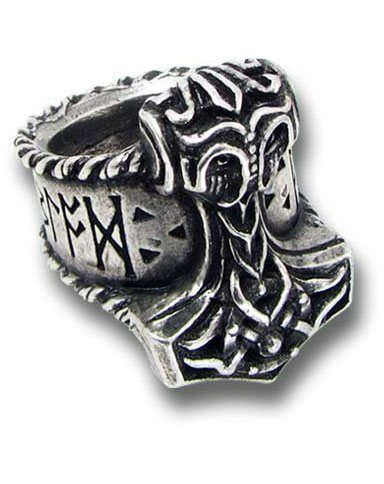 With runes for blood and thunder along the side the Thor's Runehammer is a serious ring. 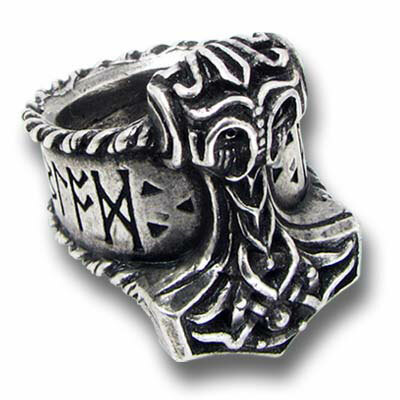 Made from solid pewter this ring has some weight to it. Measures approximately 0.98 inches wide, 1.26 inches high and 1.18 inches deep. By Gothic Alchemy.